What is Local area Search Engine Optimisation? Local SEO is usually a good choice for companies within towns and cities that do not want to sell their products and services throughout the country and just want to focus solely on their local customers. It is a process by which an SEO Specialist optimises a website for particular business areas to bring in new leads from those areas, for example lets say you were a plumber in the Leicester area, your website might get optimised for ‘Plumbers Leicester’ but may also get optimised for the other local nearby towns such as Hinckley as these areas are not to far to travel to and are worth the monthly optimisation cost. 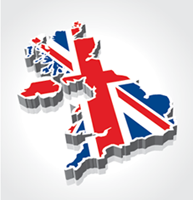 What is the benefit of your search engine optimisation campaign being regional and not national? The obvious answer is the cost of the campaign, whilst national campaigns are solely dependant on the competition of keywords, regional SEO campaigns are approximated in our search engine optimisation packages section, National campaigns can be up to 1000% more than regional SEO campaigns. The second answer is that your service might not be a national service, If you provide a trade such as roofing, plumbing etc then you would not be wanting to travel to the other side of the country for one job, there are other situations such as not being able to supply the demand for the huge amount of enquiries when going national that could make local SEO work for you. What kind of areas should you target with SEO? There are many things to consider when choosing the SEO areas, take a look at your nearest areas, are they well searched for? do they have a large population? do they have a demand for what you provide? are there other competitors you cannot compete with in those areas? Will the cost of your optimisation be worth targeting that area? For full advice with a consultation of which areas you should target, speak to one of our SEO experts today.